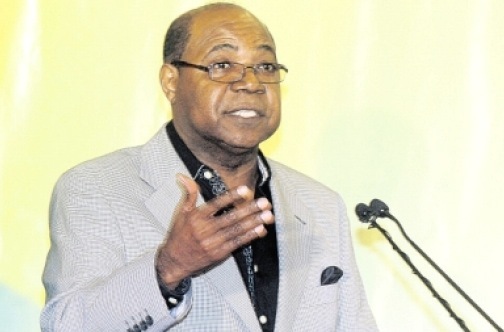 Two of the busiest streets in two of the island’s key cities could become major tourism hubs, based on the vision outlined by Minister of Tourism Edmund Bartlett. The two streets – Montego Bay’s St James Street and Kingston’s Knutsford Boulevard – have already taken on certain characteristics of their own, but Bartlett believes so much more can be done to make them appeal to the growing gastronomy or food-based tourism market. The minister explained his vision while addressing journalists at the first gastronomy seminar on fats and oils, hosted jointly by the ministry’s Tourism Linkages Network and Seprod Group at the Hilton Rose Hall Resort and Spa on Wednesday. The event was dubbed: The Gastronomy of Fats and Oils – The Art of Choosing, Preparing and Cooking Good Food. It included a series of presentations by chefs and experts on how to effectively use fats and oils to further enhance culinary delights within the tourism sector. Bartlett said in the context of a development strategy, “while we talk about gastronomy in the broad sense of consumption, it is also a development tool because it gives an opportunity for infrastructural development”.